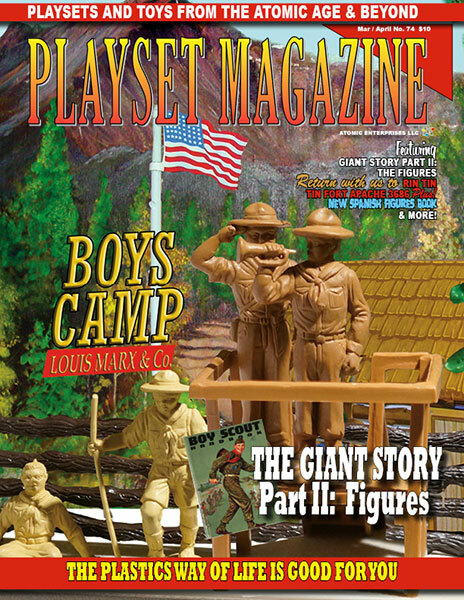 Shipping now and right on schedule as we have for 12 years is our freshest breeze of plastic playset fun, the at first seemingly innocuous Boy Scout Camp! 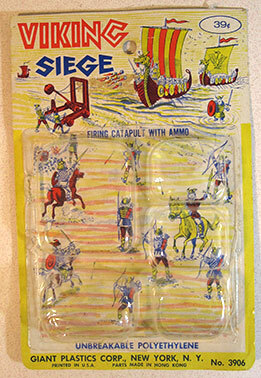 This early retail set was never offered through the catalogs and as such has become quite coveted and sought after by todays collector community. Yet there’s much more to this prolific set – completely filled with exciting, one of a kind figures in uniform, unusual and very imaginative accessories, it was a river to many other sets that utilized its debut accessories -- this is a big time collectible with superior focus on recreating a complete miniature camp with that very special cabin, designed from the inside out just for this set -- a set of superior interest and nostalgic qualities. With that, this issue we invite you to take a stroll through Marx’ Boy’s Camp, a place of fun and adventure in the 1950’s with author Greg Urbach’s photos and text. You are sure to admire and love Marx’ nearly perfect recreation of those woodland days of fresh air, tracking small animals to see their habitat, of the swift slice of an arrow thwacking into a tree or target, of the brass bugle in the morning. Last issue’s “The Giant Story” was an unexpected hit, with quite a few new readers. 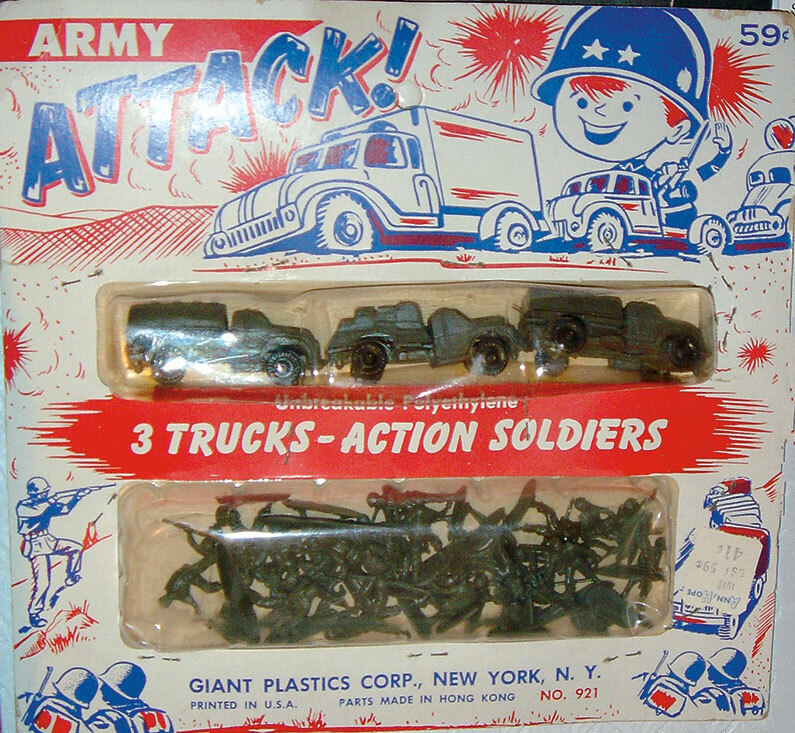 Kent Sprecher tells us, “Giant is a crossover with both 1/72 and 1/32 collectors getting them, and other than Airfix they were the only 1/72 figures in the 60s and were sold out grocery and drug stores as rack toys. At .29 - .99 cents each, we all could buy a few.” You’ll need Giant Story Part II because this issue shows figure groups, accessories and rarities galore including the fabled Viking Rowers, with “One Inch Warrior” author Victor Rudik’s photos joining those of Mark Hegeman, Kent and others. Thanks guys! We’re also returning to Fort Apache (as promised) for a useful update of the No. 3686R Rin Tin Tin at Fort Apache, featuring some beautiful, detailed images courtesy Rick Eber. Here you’ll find a mint contents list and super big contents shots, plus the instruction sheets. So it’s a perfect addition to the Fort Apache story you won’t want to miss. Folks, you just couldn’t have more fun than to sit down with this great issue and delve into the world as it was, a more perfect place for kids and grown-ups alike.